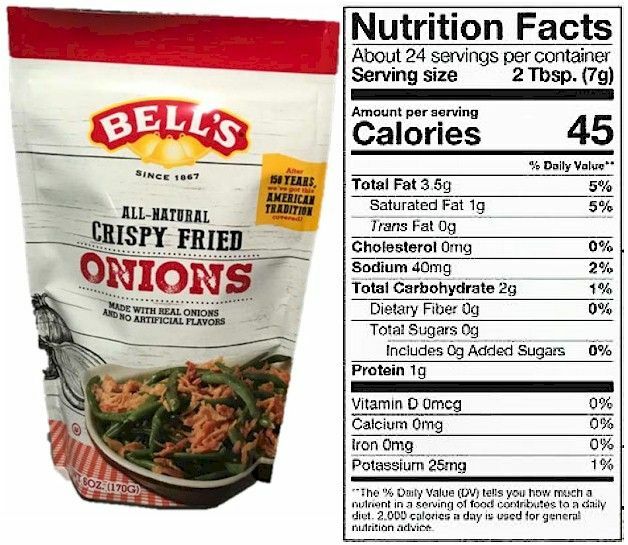 Bell's All-Natural Crispy Fried Onions 6 oz. Home / Pantry Items / Dried and Canned Vegetables / Bell's All-Natural Crispy Fried Onions 6 oz. Home / Local Portuguese Foods / Dried and Canned Vegetables / Bell's All-Natural Crispy Fried Onions 6 oz. Home / Pantry Items / Global Favorites / Local Portuguese Foods / Dried and Canned Vegetables / Bell's All-Natural Crispy Fried Onions 6 oz. Home / Specialty Grocery / Global Favorites / Local Portuguese Foods / Dried and Canned Vegetables / Bell's All-Natural Crispy Fried Onions 6 oz. Home / Pantry Items / Hometown Food Favorites / Global Favorites / Local Portuguese Foods / Dried and Canned Vegetables / Bell's All-Natural Crispy Fried Onions 6 oz. Home / New England Classics / Hometown Food Favorites / Global Favorites / Local Portuguese Foods / Dried and Canned Vegetables / Bell's All-Natural Crispy Fried Onions 6 oz. Home / Foods of New England / Hometown Food Favorites / Global Favorites / Local Portuguese Foods / Dried and Canned Vegetables / Bell's All-Natural Crispy Fried Onions 6 oz. Home / Specialty Grocery / Hometown Food Favorites / Global Favorites / Local Portuguese Foods / Dried and Canned Vegetables / Bell's All-Natural Crispy Fried Onions 6 oz. Home / Foods of New England / Local Portuguese Foods / Dried and Canned Vegetables / Bell's All-Natural Crispy Fried Onions 6 oz. Home / Specialty Grocery / Dried and Canned Vegetables / Bell's All-Natural Crispy Fried Onions 6 oz. 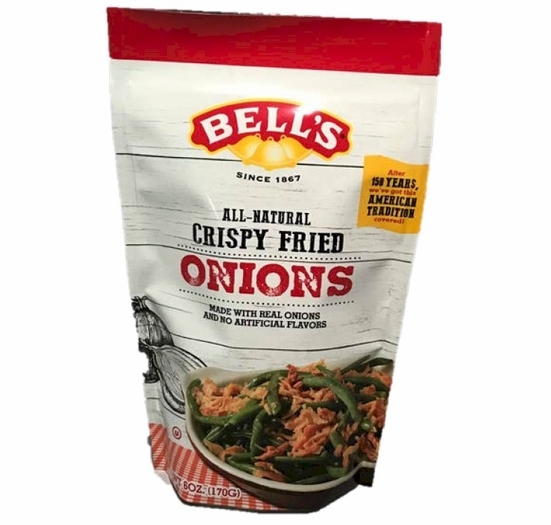 Home / New / Bell's All-Natural Crispy Fried Onions 6 oz. 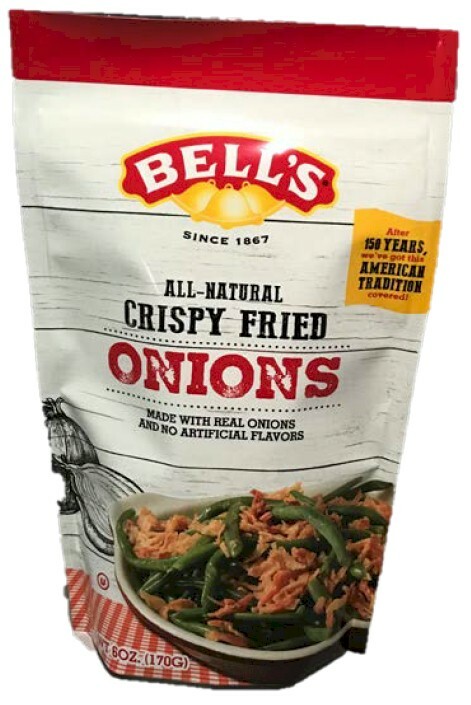 Home / Foods of New England / Brands (New England Favorites) / Bell's Seasonings & Stuffing / Other Bell's Favorites / Bell's All-Natural Crispy Fried Onions 6 oz. Home / Pantry Items / Hometown Food Favorites / Bell's Seasonings & Stuffing / Other Bell's Favorites / Bell's All-Natural Crispy Fried Onions 6 oz. Home / New England Classics / Hometown Food Favorites / Bell's Seasonings & Stuffing / Other Bell's Favorites / Bell's All-Natural Crispy Fried Onions 6 oz. Home / Foods of New England / Hometown Food Favorites / Bell's Seasonings & Stuffing / Other Bell's Favorites / Bell's All-Natural Crispy Fried Onions 6 oz. Home / Specialty Grocery / Hometown Food Favorites / Bell's Seasonings & Stuffing / Other Bell's Favorites / Bell's All-Natural Crispy Fried Onions 6 oz. Home / Local Portuguese Foods / Hometown Food Favorites / Bell's Seasonings & Stuffing / Other Bell's Favorites / Bell's All-Natural Crispy Fried Onions 6 oz. Home / Pantry Items / Global Favorites / Local Portuguese Foods / Hometown Food Favorites / Bell's Seasonings & Stuffing / Other Bell's Favorites / Bell's All-Natural Crispy Fried Onions 6 oz. Home / Specialty Grocery / Global Favorites / Local Portuguese Foods / Hometown Food Favorites / Bell's Seasonings & Stuffing / Other Bell's Favorites / Bell's All-Natural Crispy Fried Onions 6 oz. Home / Foods of New England / Local Portuguese Foods / Hometown Food Favorites / Bell's Seasonings & Stuffing / Other Bell's Favorites / Bell's All-Natural Crispy Fried Onions 6 oz. Home / Popular Brands / Bell's Seasonings & Stuffing / Other Bell's Favorites / Bell's All-Natural Crispy Fried Onions 6 oz. Home / Pantry Items / Specialty Foods / Organic & Natural Food Brands / Bell's Seasonings & Stuffing / Other Bell's Favorites / Bell's All-Natural Crispy Fried Onions 6 oz. Home / Specialty Grocery / Specialty Foods / Organic & Natural Food Brands / Bell's Seasonings & Stuffing / Other Bell's Favorites / Bell's All-Natural Crispy Fried Onions 6 oz. As the oldest seasoning brand in America, Bell’s knows a thing or two about American traditions! 150 years after launching their iconic Bell’s Seasoning, they're thrilled to bring you all natural Crispy Fried Onions that can top off your favorite holiday casseroles, add crunch to any salad, or be used to bread fish or poultry with a flavorful twist. Ingredients: onions, vegetable oil (canola & palm), wheat flour, soy flour, salt, dextrose. contains: wheat, soy. 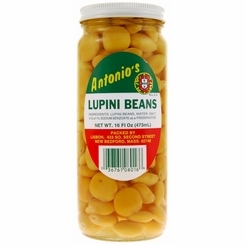 Antonio's Lupini Beans 16 oz. 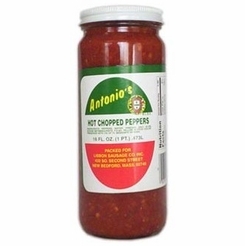 Antonio's Hot Chopped Peppers 16 oz. 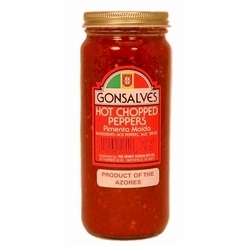 Gonsalves Hot Chopped Peppers 16 oz. 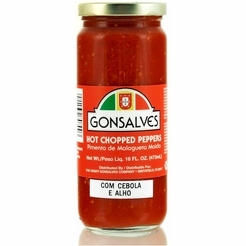 Gonsalves Hot Chopped Peppers with Garlic & Onion 16 oz. 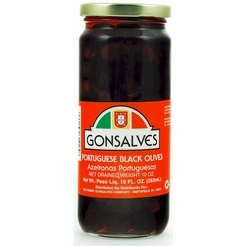 Gonsalves Portuguese Black Olives 10 oz.